Bucharest/Mechernich. As an international leader in change machine and redemption solutions, GeWeTe brings great experience and with that an unbeatable product range to the market. It is this in-depth market knowledge and the fact that the entire development and production process is controlled at the headquarters in Germany that has brought over twenty years of success to the company. “There is no one product that fits all needs. The gaming and amusement markets vary from country to country. We have placed our focus on creating the right solution for the Eastern European countries. Cash-Center-Compact has been designed with the street markets here in mind”, explained Mr. Aristidis Tsikouras, Managing Director of GeWeTe. The Cash-Center-Compact was therefore rightly of particular interest for visitors to the EAE show that took place in Bucharest between 4th and 6th September. Equipped with a 7” touchscreen, this offers extensive coin and banknote change capacity. Great change giving capacity is guaranteed with note dispensers that can store up to 2,000 banknotes alongside further banknote recycling capacity. 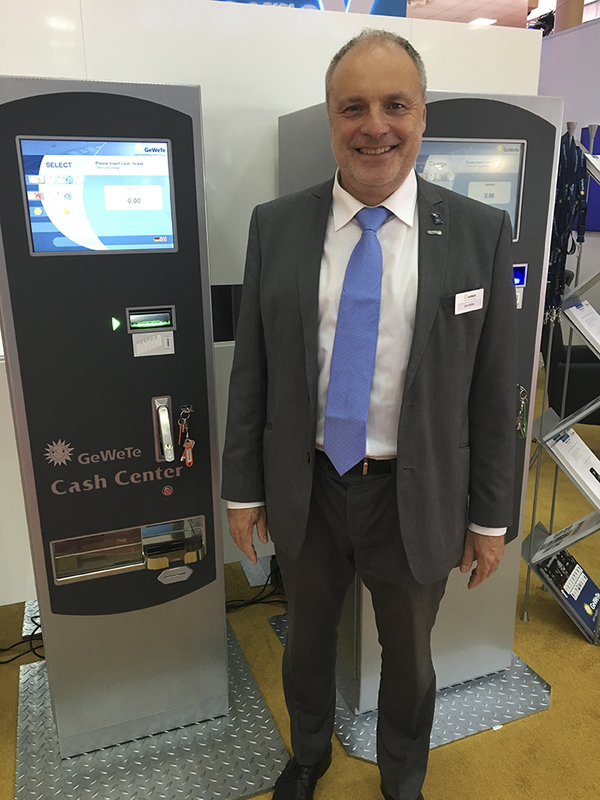 For the casino market, GeWeTe presented the Cash-Center-Compact-Casino that offers everything an operator requires from a change/redemption machine. Higher capacities are a necessity for the casino market and thus this solution is fitted with four high-capacity banknote dispensers (with a total capacity of 12,000 notes). It has all the technology for ticket-in, ticket-out applications and is even fitted with a barcode reader, making it ideal for the sports betting market as well. “It was clear to see at the show that casino operators can choose amongst the finest slots in the market. The market is shifting upwards and there is a sustained focus on quality. We see excellent opportunities in supporting operators here in having the right change giving / redemption solution from GeWeTe”, concluded Mr. Tsikouras.